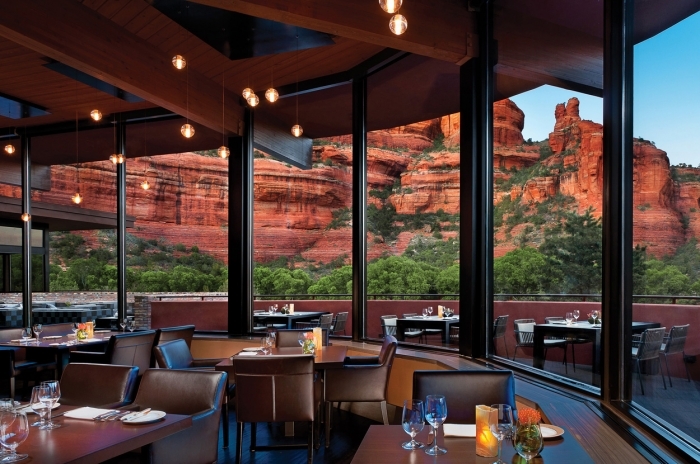 Although frequently considered a warm-weather destination – Sedona’s unique natural beauty can be enjoyed year round, as discovered by a weekend trip to this Arizona town in early December. 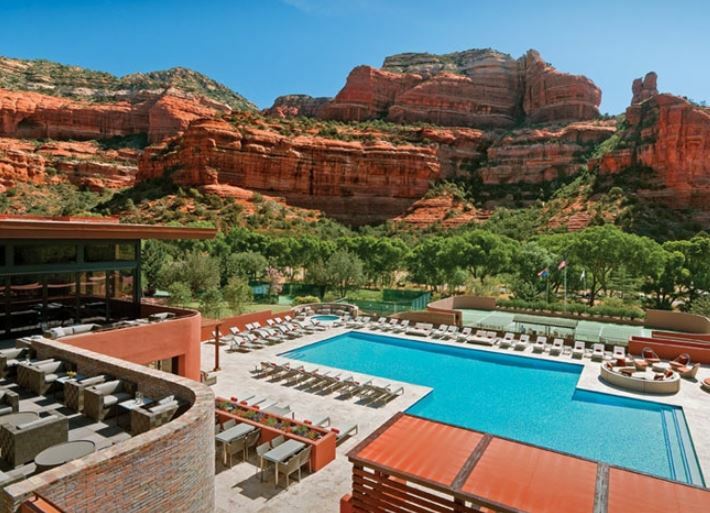 Imagine those beautiful world-famous, dramatic red rocks drizzled in white snow; crisp, clean mountain air; desert evenings by the fire; warming and rejuvenating spa treatments with views of the enchanting red rock formations outside. 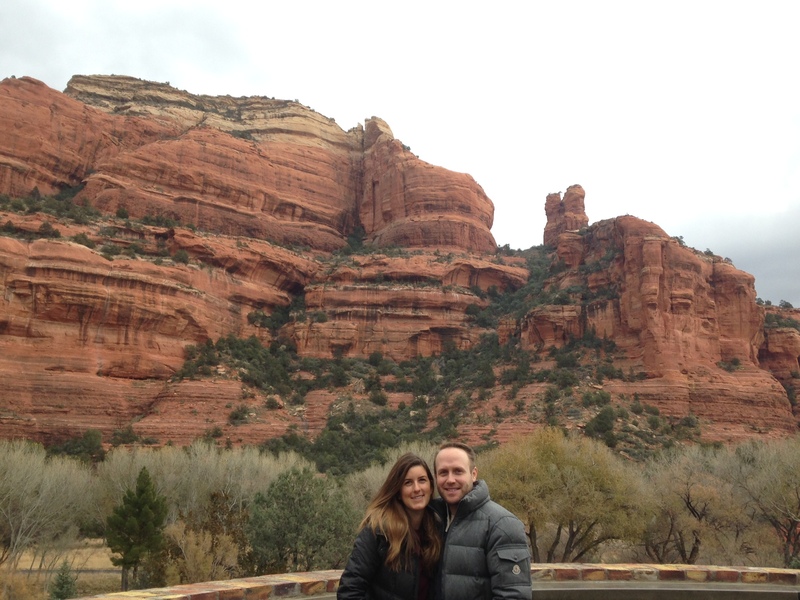 We loved our visit to Sedona! 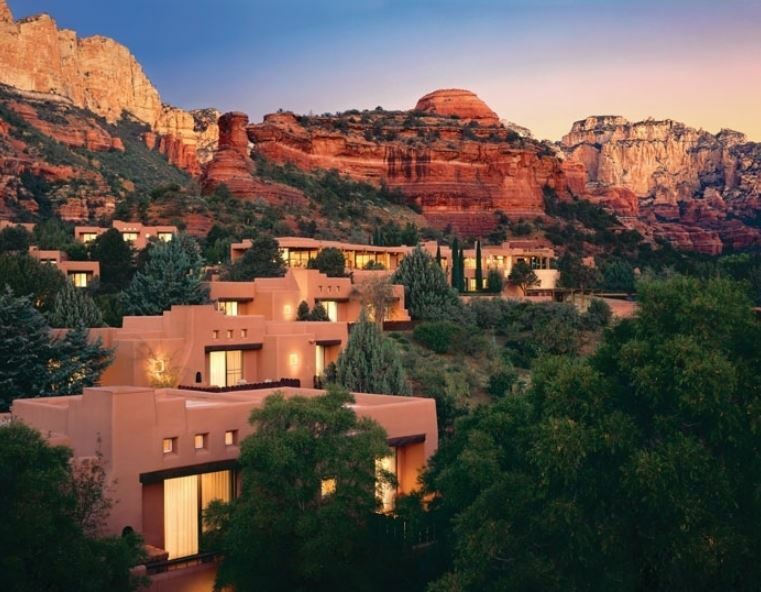 We flew into Phoenix and drove the 2 hour scenic drive to Sedona – up the canyon, through the charming Crystal Shop-filled town, then through another canyon to end up in the beautiful and secluded Enchantment Resort. 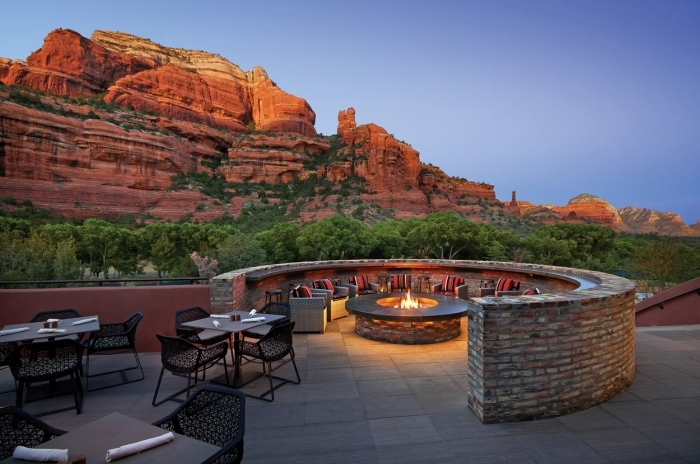 Sedona Spas, Dining and Views! 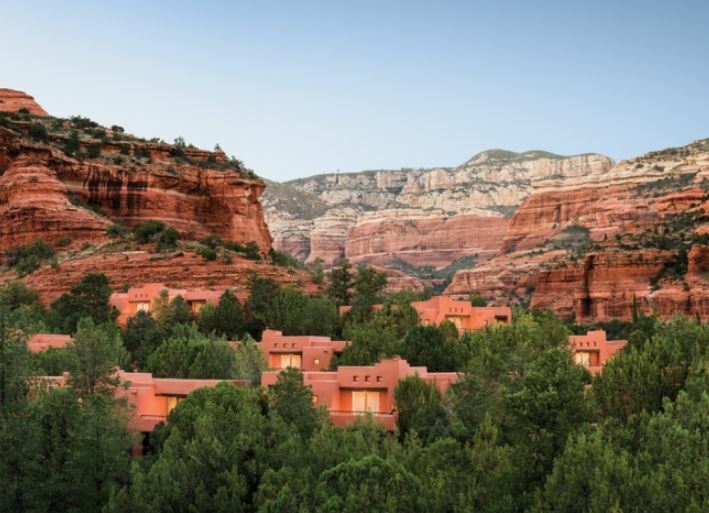 Nestled into it’s own private canyon surrounded by dramatic red rock cliffs and mountains, you wake up feeling like you’re on a whole new planet…. Truly, the best way to relax! Enchantment Resort houses the world famous Mii Amo Spa, which even includes 16 Spa guest rooms and suites for those who want to have a completely immersive spa experience. Enchantment and Mii Amo truly have it all! From excellent dining options, to nearby hiking and walking, an endless list of activities, including Native American educational programs, to cooking classes, to every type of yoga class, to chanting and meditation in their famed Crystal Grotto. We could have stayed all week and filled our schedules from morning to night with classes and experiences! My husband and I were thrilled to just walk around the property and soak in the natural beauty (even in the 40 degree weather! 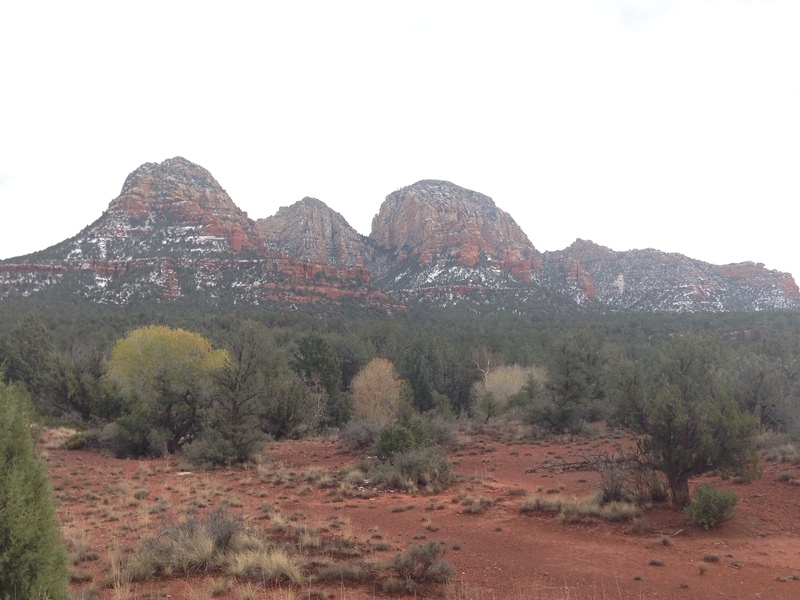 ), and ended up taking a few scenic drives around the surrounding areas as we couldn’t get enough of the snowy effect on those dark red rock structures (see photos!). 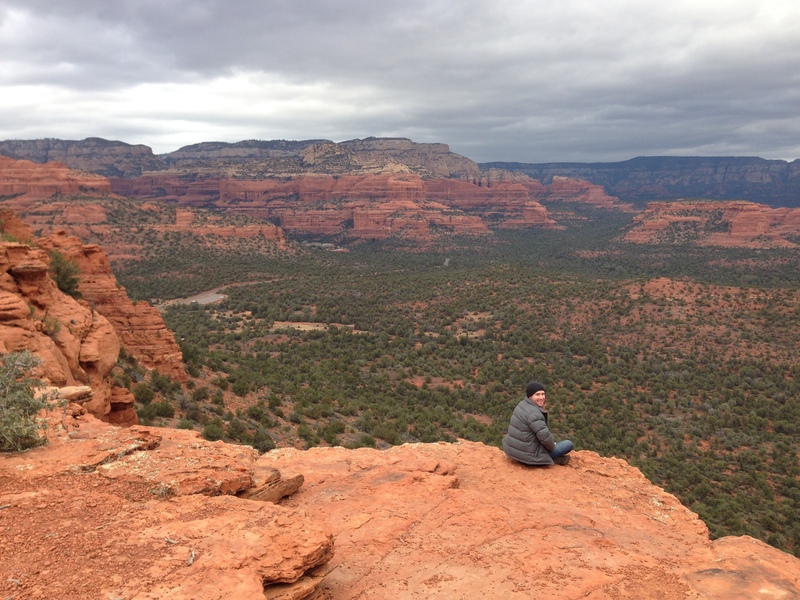 We drove to nearby Doe Mountain and made the 30-minute hike to the top which afforded gorgeous 360 degree views of all of Sedona. The Mii Amo Spa was an experience in and of itself. The spa is comprised not only of the usual relaxation area and treatment rooms, but with yoga rooms, a fitness center, a Crystal Grotto (based on a Native American Kiva, a place of ceremony and transformation), a large indoor and outdoor pool and hot tub, a cozy fireplace-filled living room area, and my favorite feature – a Spa café. Which means you can eat tasty, healthy meals in your robe before or after treatments. What a guilty, but also guilt-free pleasure! As a healthy eater with dietary restrictions, I was thrilled to eat my meals at this fantastic, health-conscious café. Is there anything better than returning from vacation and feeling good about all of the healthy food you ate? 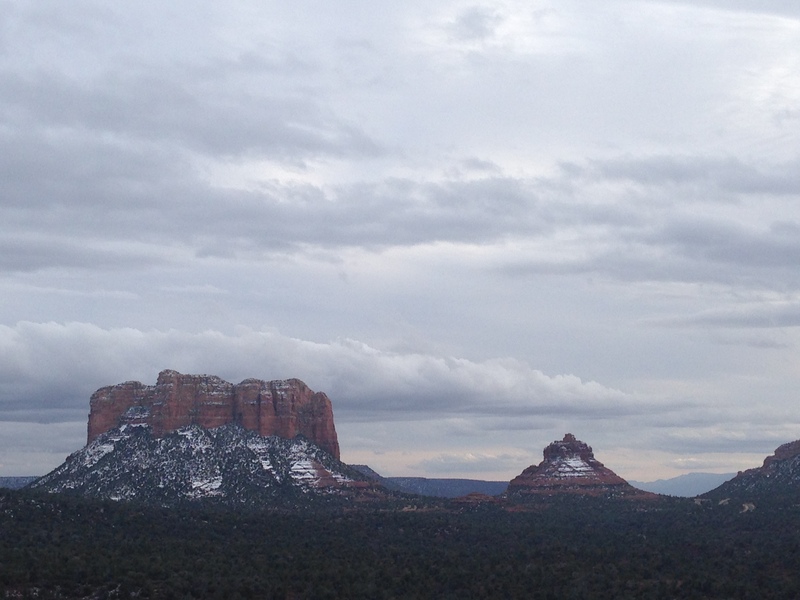 This made our visit to Sedona perfect! Our guestroom was spacious, cozy, comfortable, and offered all of the luxurious amenities one would expect at a 5 star resort. 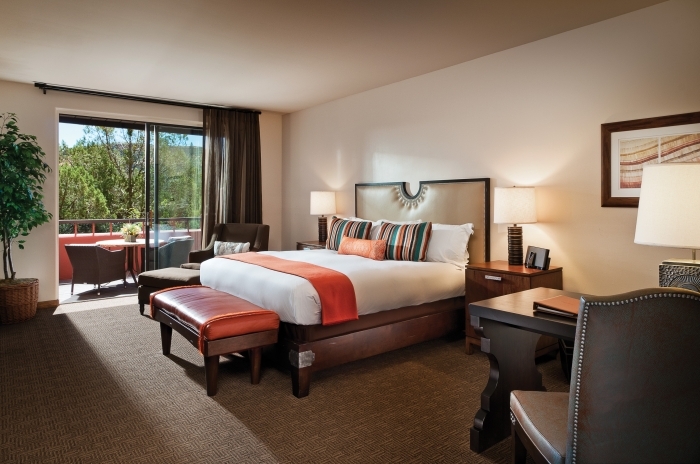 Our favorite feature was the in-room fireplace, where we spent most of our time in the room, while enjoying unobstructed red rock views! This easily accessible Arizona gem truly had us enchanted and we can’t wait to return, hopefully next time for longer. 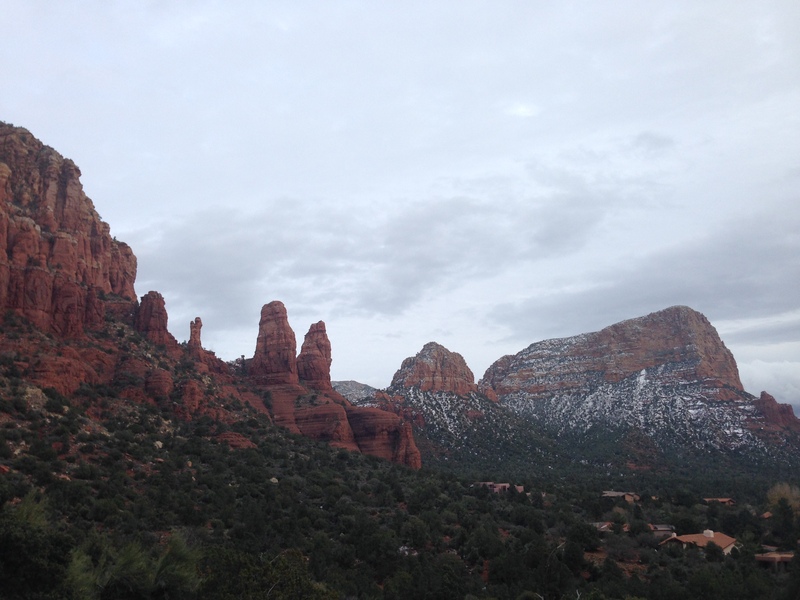 Come visit Sedona! By Karissa Hazy, a freelance travel writer and consultant for Global Adventuress. 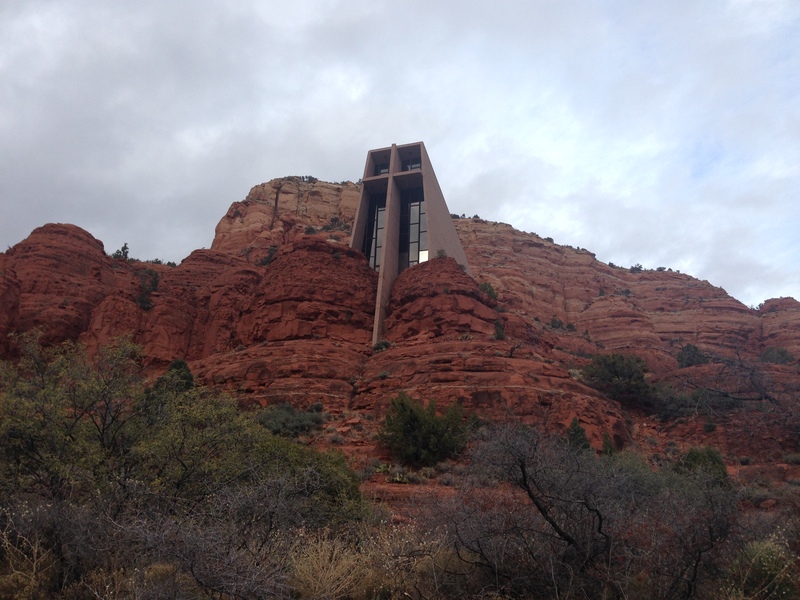 We would like to thank Enchantment Resort, Sedona for hosting our stay. All opinions expressed here are entirely our own.